Algebra II has to go. It drives dropout rates and is mostly useless in real life. Andrew Hacker has a plan for getting rid of it. Algebra II, which is required by the new Common Core curriculum standards used by 47 states and territories, drives dropouts at both the high school and college levels. In his new book The Math Myth: And Other STEM Delusions, political scientist Andrew Hacker proposes replacing algebra II and calculus in the high school and college curriculum with a practical course in statistics for citizenship (more on that later). 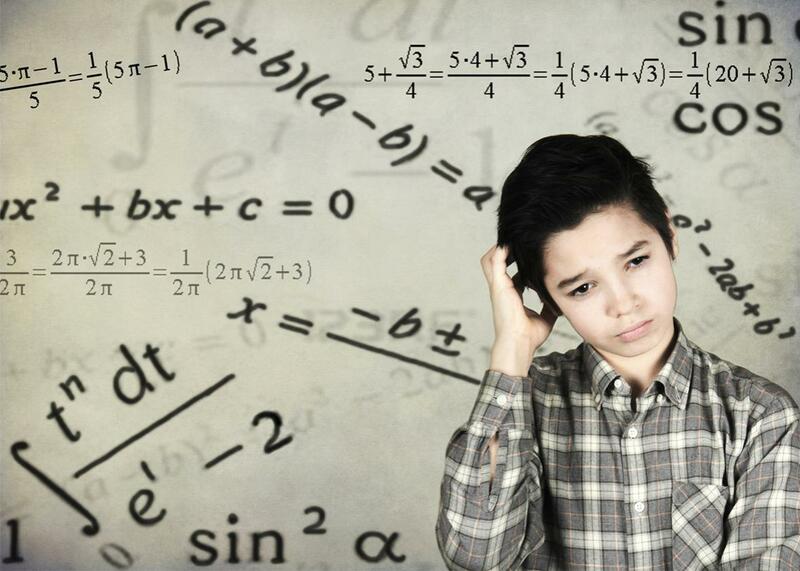 Only mathematicians and some engineers actually use advanced math in their day-to-day work, Hacker argues—even the doctors, accountants, and coders of the future shouldn’t have to master abstract math that they’ll never need. I showed the book to my husband, Andrei, a computer programmer who loved math in school. He scrunched up his face. “People don’t use Shakespeare in their jobs, but it’s still important for them to read it,” he said. “Math helps us understand the world around us!” Andrei replied. “Like how derivatives demonstrate change over time.” He smiled, and I could tell that for him, it was all clear and beautiful. But I had no idea what he was talking about. In high school, I found math so indecipherable that I would sometimes cry over my homework. I don’t think I ever understood what a derivative signified 15 years ago, when I was struggling my way to a low B in calculus—a class I was convinced I had to take to pad my college applications. So Hacker’s book is deeply comforting. I’m not alone, it tells me—lots of smart people hate math. The reason I hated math, was mediocre at it, and still managed to earn a bachelor’s degree was because I had upper-middle-class parents who paid for tutoring and eventually enrolled me in a college that doesn’t require math credits in order to graduate. For low-income students, math is often an impenetrable barrier to academic success. Algebra II, which includes polynomials and logarithms, and is required by the new Common Core curriculum standards used by 47 states and territories, drives dropouts at both the high school and college levels. The situation is most dire at public colleges, which are the most likely to require abstract algebra as a precondition for a degree in every field, including art and theater. Unlike most professors who publicly opine about the education system, Hacker, though an eminent scholar, teaches at a low-prestige institution, Queens College, part of the City University of New York system. Most CUNY students come from low-income families, and a 2009 faculty report found that 57 percent fail the system’s required algebra course. A subsequent study showed that when students were allowed to take a statistics class instead, only 44 percent failed. In his 19-person numeracy seminar, the lowest grade was a C, Hacker says. But he says that the math establishment—a group he calls “the Mandarins” in his book—doesn’t take kindly to a political scientist challenging disciplinary dogma, even at Queens College. The school has reclassified his class as a “special studies” course. Hacker’s previous book, Higher Education? How Universities Are Wasting Our Money and Failing Our Kids, took a dim view of the tenured professoriate, and he extends that perspective in The Math Myth. Math professors, consumed by their esoteric, super-specialized research, simply don’t care very much about the typical undergraduate, Hacker contends. At universities with graduate programs, tenure-track faculty members teach only 10 percent of introductory math classes. At undergraduate colleges, tenure-track professors handle 42 percent of introductory classes. Graduate students and adjuncts shoulder the vast majority of the load, and they aren’t inspiring many students to continue their math education. In 2013, only 1 percent of all bachelor’s degrees awarded were in math. Hacker attacks not only algebra but the entire push for more rigorous STEM education—science, technology, engineering, and math—in K-12 schools, including the demand for high school classes in computer programming. He is skeptical of one of the foundational tenets of the standards-and-accountability education reform movement, that there is a quantitative “skills gap” between Americans and the 21st-century job market. He notes that between 2010 and 2012, 38 percent of computer science and math majors were unable to find a job in their field. During that same period, corporations like Microsoft were pushing for more H-1B visas for Indian programmers and more coding classes. Why? Hacker hypothesizes that tech companies want an over-supply of entry-level coders in order to drive wages down. I found Hacker overall to be pretty convincing. But after finishing The Math Myth, I kept thinking back to how my husband talked about derivatives, how he helped me connect the abstract to the concrete. As a longtime education reporter, I know that American teachers, especially those in the elementary grades, have taken few math courses themselves, and often actively dislike the subject. Maybe I would have found abstract math more enjoyable if my teachers had been able to explain it better, perhaps by connecting it somehow to the real world. And if that happened in every school, maybe lots more American kids, even low-income ones, would be able to make the leap from arithmetic to the conceptual mathematics of algebra II and beyond. I called Daniel Willingham, a cognitive psychologist at the University of Virginia who studies how students learn. He is worried about any call to make math—or any other subject—less abstract. I told him that even though I once passed a calculus class, my husband had to explain to me what a derivative was, as opposed to how to find it using an equation; Willingham replied, “This is very common. There are three legs on which math rests: math fact, math algorithm, and conceptual understanding. American kids are OK on facts, OK on algorithm, and near zero on conceptual understanding. It goes back to preschool. And this is what countries like Singapore do so well. They start with the conceptual business very, very early.” Willingham believes substituting statistics for algebra II might not solve the problem of high school math as a stumbling block. After all, basic statistical concepts—such as effect size or causality—also require conceptual understanding. Of course, if math teachers are to help students understand how abstract concepts function in the real world, they will have to understand those abstractions themselves. So it’s not reassuring that American teachers are a product of the same sub-par math education system they work in, or that we hire 100,000 to 200,000 new teachers each year at a time when less than 20,000 people are majoring in math annually. Could better teachers help more students pass algebra II? Given high student debt, low teacher pay, and the historically low status of the American teaching profession, it would be a tough road. In the meantime, it’s probably a good idea to give students multiple math pathways toward high school and college graduation—some less challenging than others. If we don’t, we’ll be punishing kids for the failures of an entire system.